Mardi Gras is around the corner and I couldn’t be more excited! In honor of that, I’m making King Cake! 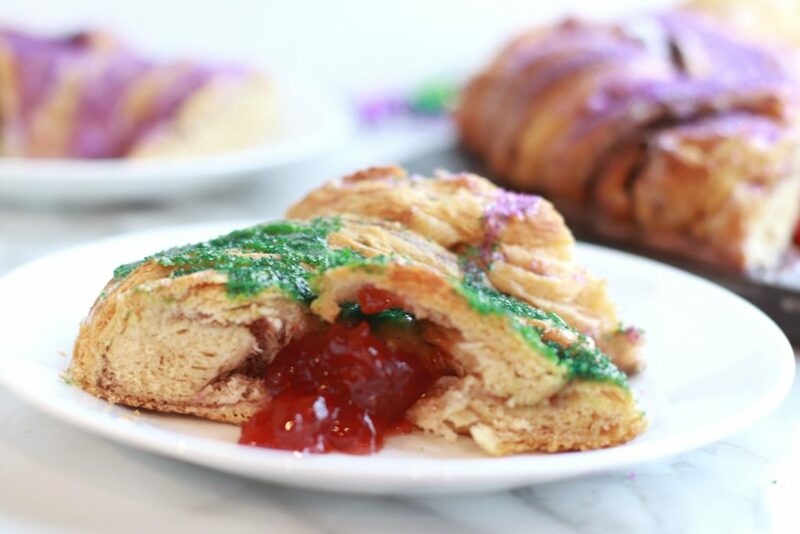 Not just any King Cake, but a Quick & Easy King Cake, because who says baking has to be complicated! When I was little we traveled around a lot. One of the places we lived was Louisiana. This was by far one of my FAVORITE places to be. I loved learning all about the Cajun Culture and all of the unique traditions they adapted. Cajuns are defined as French-speaking refugees, driven from their homes in Acadie to Nova Scotia. Then forced out again on their feet. After wandering for nearly a decade they settled in to the southern bayous of what is now known as Louisiana. Adapting to their environment they caught lots of crawfish, muskrats, alligators, and shrimp. They also grew lots of hot peppers and okra – hence, why today you see a lot of this stuff in their cooking! 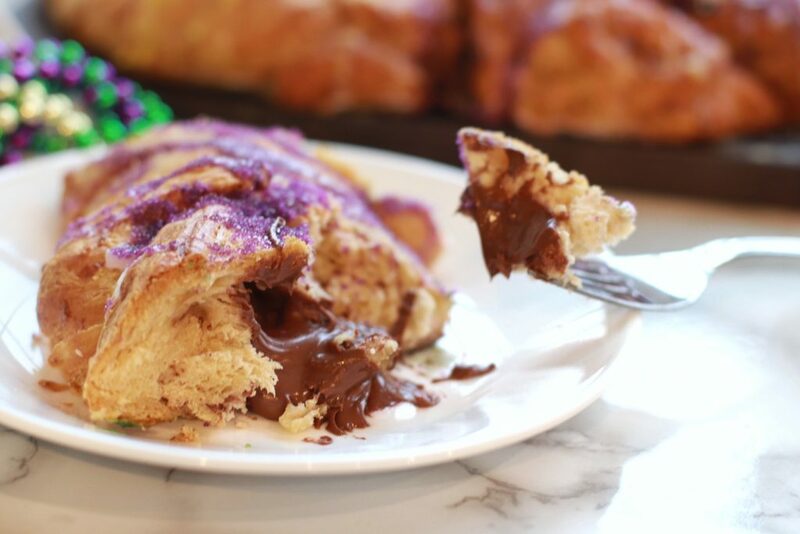 They also continued a lot of their French traditions including Mardi Gras & King Cake! The day before Ash Wednesday is generally referred to as Fat Tuesday. 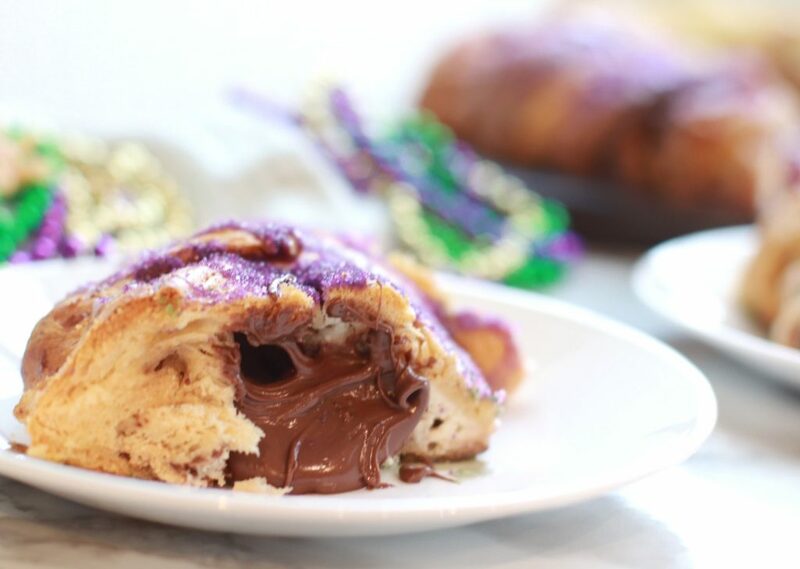 Mardi Gras is French for Fat Tuesday. As Ash Wednesday starts the first day of Lent in Christian churches. Fat Tuesday is a day to go all out , before fasting and giving something up for Lent! Mardi Gras is filled with lots of fun in the form of parades & parties. 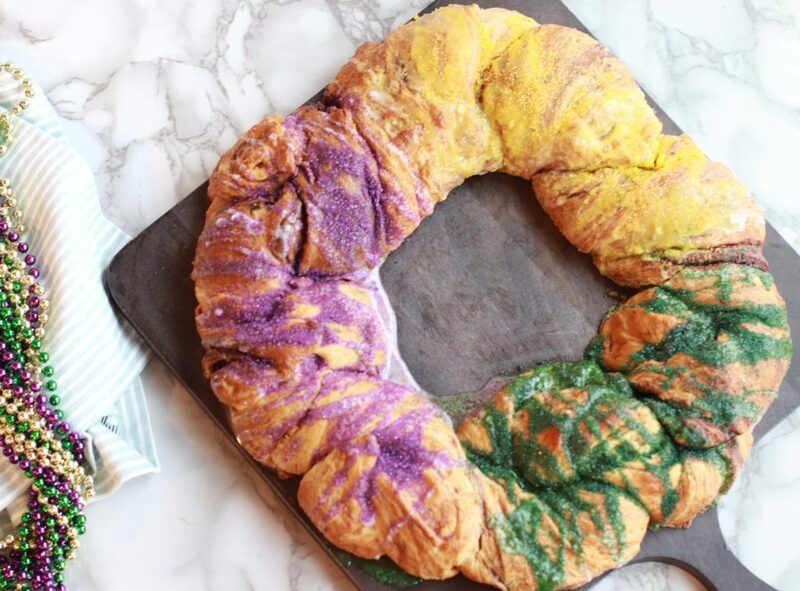 As well as lots of food including the King Cake! 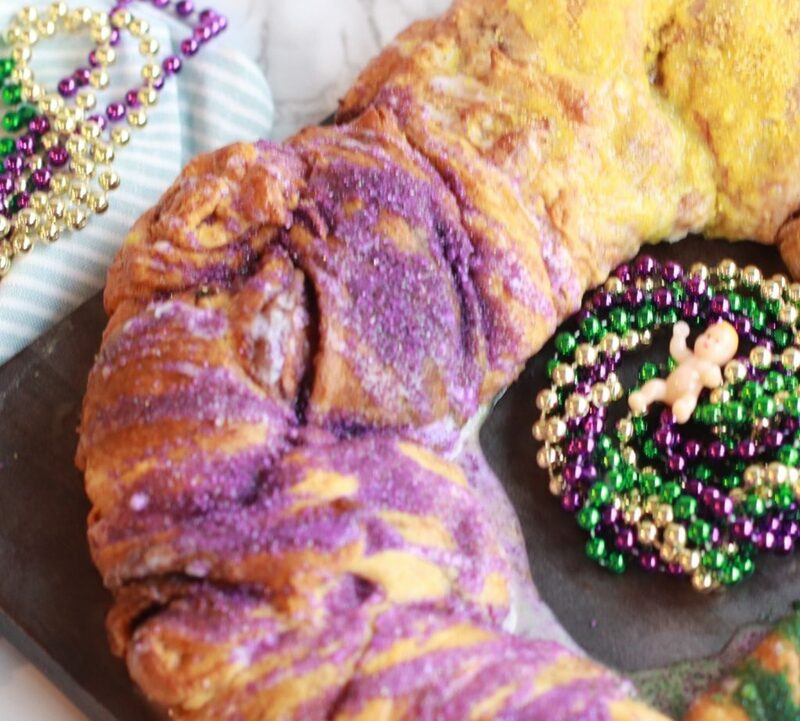 At the beginning of Mardi Gras it was tradition to celebrate with a King Cake, a giant pastry ring that contains a small plastic baby (representative of Baby Jesus). Everyone was served a slice and whoever received the baby (hidden in the king cake) would be revered as royalty for the entire night. These large, oval shaped pastries are traditionally filled with chocolate ganache, praline, cream cheese, or fruit spreads. Then they’re iced and topped with purple, yellow, and green sprinkles! I would closely compare them to a large doughnut if you’ve never had one before. Even years after moving away we loved to order King Cakes from local Louisiana bakeries. There are many that ship their products nationwide! Our favorite was filled with cream cheese, strawberry, and chocolate! 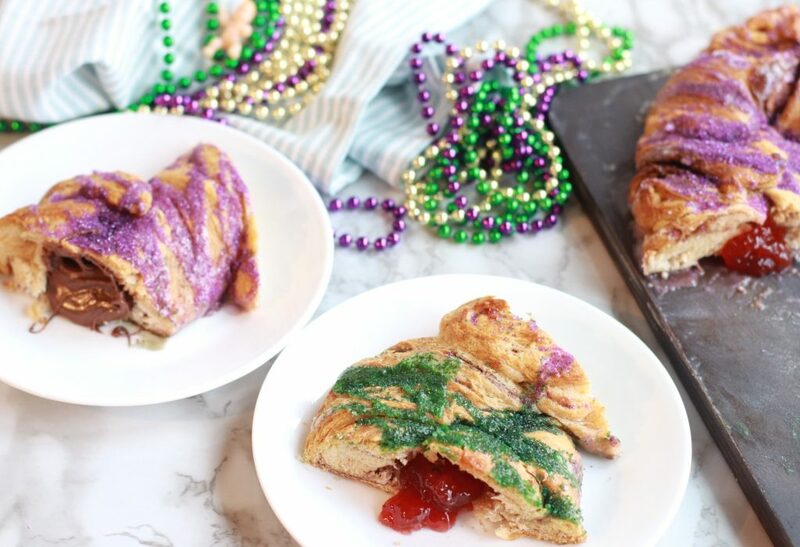 They can be a little pricey though so, today I’m recreating our favorite King Cake, but in a simpler, more approachable way! 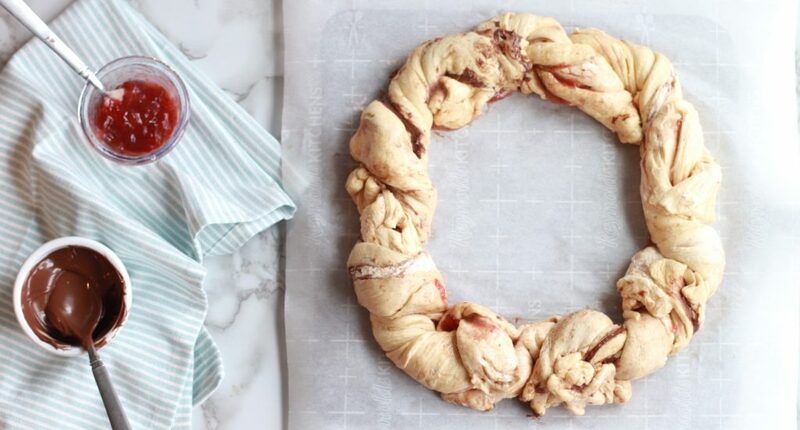 I’m using Pre-prepared Crescent roll dough, Chocolate, Strawberry, and Sweet Cream Cheese fillings and topping it with a Cinnamon Vanilla Glaze. Pre heat your oven to 375. To make your Sweet Cream Cheese filling, mix your cream cheese, brown sugar, and vanilla in a food processor. Set aside. On a piece of parchment paper spread out one can of your crescent dough roll into a single layer. 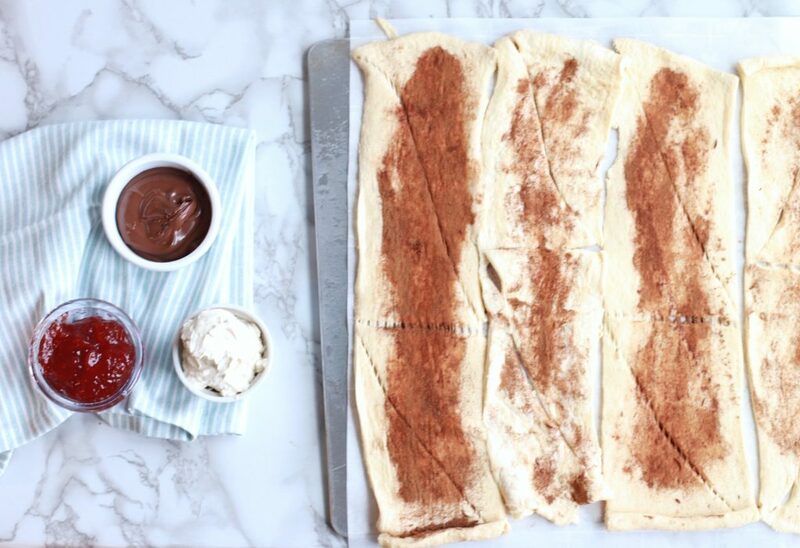 Sprinkle cinnamon all over the dough. This is your bottom layer. Next, grab your chocolate hazelnut spread, your strawberry jam, and your sweet cream cheese. 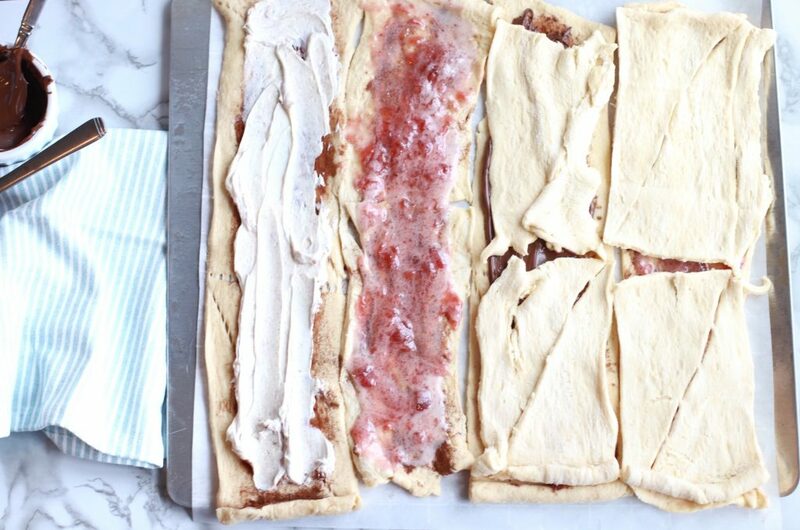 Spread each flavor onto a single layer of crescent dough. After each bottom layer has a filling on it, open the other can of crescent dough. Place another piece of crescent dough on top of each of the bottom layers. Next, twist the dough until just a little of the filling is peeking out! Now repeat until you’ve successfully twsited all of the dough. Twisting the ends of each of the “twists” together to form a large circle. Place it in the oven to bake for about 20-25 minutes. It will be a light golden brown when it’s ready. You’ll want to let it cool. Once it’s cool, take your glaze and drizzle it all over the cake. Immediately add your sprinkles! Cut it into smaller pieces and enjoy! Serves: 10	Cooking Time: 30 min. To make your Sweet Cream Cheese filling, mix your cream cheese, brown sugar, and vanilla in a food processor. Set aside. On a piece of parchment paper, spread out one can of your crescent dough roll into single layers. 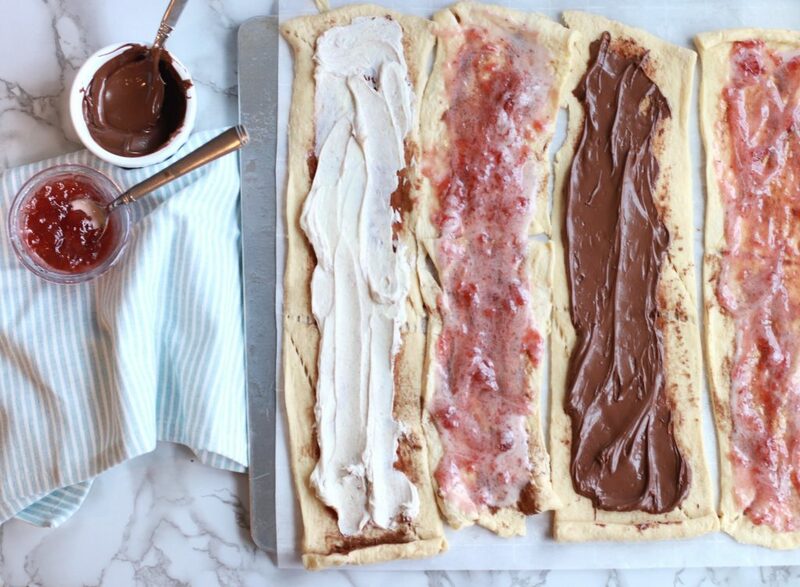 Spread each flavor of filling (Cream Cheese, Strawberry, & Chocolate) onto it's own single layer of crescent dough. After each bottom layer has a filling on it, open the other can of crescent dough. Place another piece of crescent dough on top of each of the bottom layers. Twist the dough layers until just a little of the filling is peeking out. 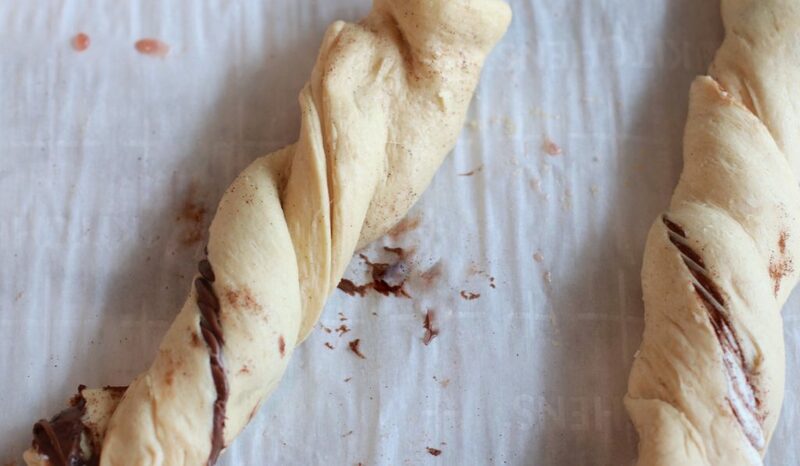 Repeat until you've successfully twisted all of the dough. Twisting the ends of each of the "twists" together to form a large circle. Bake for about 20-25 minutes. It will be a light golden brown when it's ready. Drizzle your glaze (see below) all over the cake. Immediately add your sprinkles! To make the glaze combine 2 cups of confectioner's sugar and a cup of milk. Mix well until all of the lumps are blended. I love that you gave a history of the King Cake. I’ve actually never had it, but this sounds like a great way to enjoy the Mardi Gras festivities. Oh my gosh, this looks delicious! I am definitely going to have to try it. Thanks for sharing!